We are dedicated to providing zealous advocacy. We can assist with (CINA) appeals in Iowa. Consumer class action litigation specializing in class action bed bug litigation. 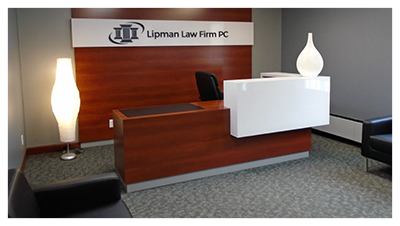 WELCOME TO LIPMAN LAW FIRM | Lipman Law Firm is a full service law firm located in Des Moines, Iowa. For nearly 20 years, we have been providing a broad range of high quality legal services to a wide range of clients, including both businesses and individuals, throughout the state of Iowa. Lipman Law Firm, P.C. is a full-service law firm founded in 1991 and built around the protection of individual rights and liberties. Our primary focus is the representation of Plaintiffs (the injured party). We provide zealous advocacy primarily practicing in: personal injury, workers’ compensation, family law including juvenile matters and, criminal defense. The firm also handles consumer class action lawsuits, transactional matters including contract reviews, business organizations, and personal document preparation such as wills. The firm since filed a number of class action cases involving bed bug infestations in Iowa, Illinois and California. The firm has also represented individuals and families in bed bug cases in Alaska, California, Colorado, Florida, Iowa, Illinois, Kansas, Minnesota, Missouri, Nevada, New Mexico, New York, Ohio, Pennsylvania, Virginia and Wisconsin. 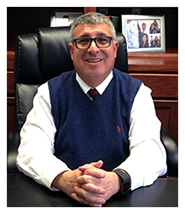 Jeff Lipman is a frequent speaker throughout the United States including the National Pest Management Association and Entomological Society of America. In addition to the speaking engagements listed below, Jeff also represents a number of Pest Control companies throughout the United States, products manufacturer, including Pest West and Allergy Technologies. Jeff has been published in PMP magazine, a trade publication in the pest control industry on multiple occasions that you can read by clicking on the link below. Lipman Law Firm has also settled multiple tenant claims at or above $250,000.00 in California and a homeless shelter class action claim for $200,000 that is pending class action approval.